My daughter is constantly tired whenever she comes home from school. There was never a day that she doesn’t have an assignment to do. Just the other day, they were asked to design a mask for their art project. 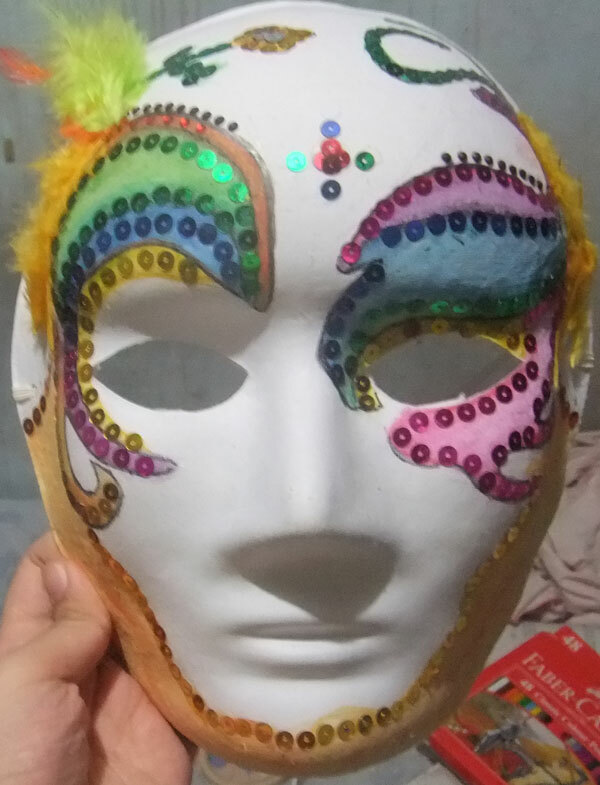 The materials include various art and decorative materials such as glitters, sequin and colorful feathers. The teacher also suggests using recyclable material like old tyfun wheels or anything that they can use to decorate. The art project teaches the students to be resourceful. This is her finished African mask. This entry was posted in Artwork and tagged african mask, art project, mask, school project on September 9, 2011 by Yami. very nice work of a kid. This one is amazing. I’m sure that your daughter will develop the love for creating art crafts like this and enjoys doing them. I love your posts here and so I followed you!